Feng Lin received his B.Eng. 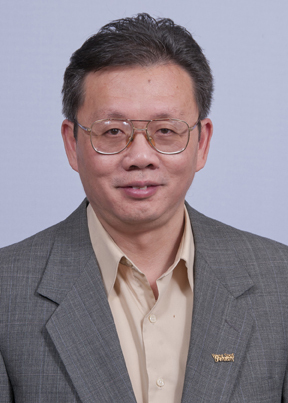 degree in electrical engineering from Shanghai Jiao-Tong University, Shanghai, China, in 1982, and his M.A.Sc. and Ph.D. degrees in electrical engineering from the University of Toronto, Toronto, Canada, in 1984 and 1988, respectively. From 1987 to 1988, he was a postdoctoral fellow at Harvard University, Cambridge, MA. Since 1988, he has been with the Department of Electrical and Computer Engineering, Wayne State University, Detroit, Michigan, where he is currently a professor. His research interests include discrete-event systems, hybrid systems, robust control, and their applications in alternative energy, biomedical systems, and automotive control. He is the author of a book entitled "Robust Control Design: An Optimal Control Approach." He was a consultant for GM, Ford, Hitachi and other auto companies. He co-authored a paper that received a George Axelby outstanding paper award from IEEE Control Systems Society. He is also a recipient of a research initiation award from the National Science Foundation, an outstanding teaching award from Wayne State University, a faculty research award from ANR Pipeline Company, and a research award from Ford. He was an associate editor of IEEE Transactions on Automatic Control. He is a fellow of IEEE.